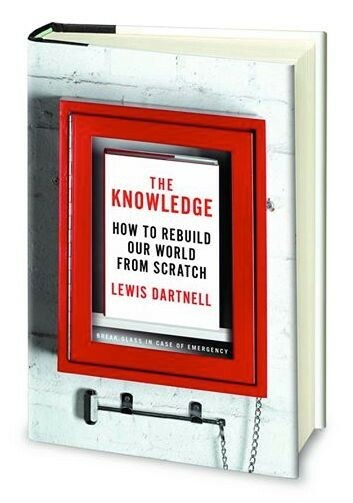 Is this the greatest example of survival through ingenuity and hacking skills? In 1993, the Frenchman Emile Leray set-off on an adventure, driving from the city of Tan Ta to cross the Moroccan desert. Unfortunately, while he was off-roading he crashed the car and became stranded in the middle of the unforgiving desert. With no hope of rescue and slim chances of making it out alive on foot, Leray was facing certain death. Lucking, Leray had just the right skill-set to survive, and sat down to solve the problem at hand himself. 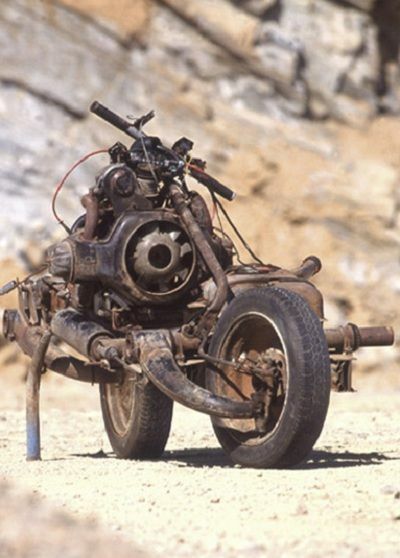 At the time, he was a 43-year-old former electrician, and set-about constructing a makeshift motorbike by cannibalising the parts from his wrecked car. 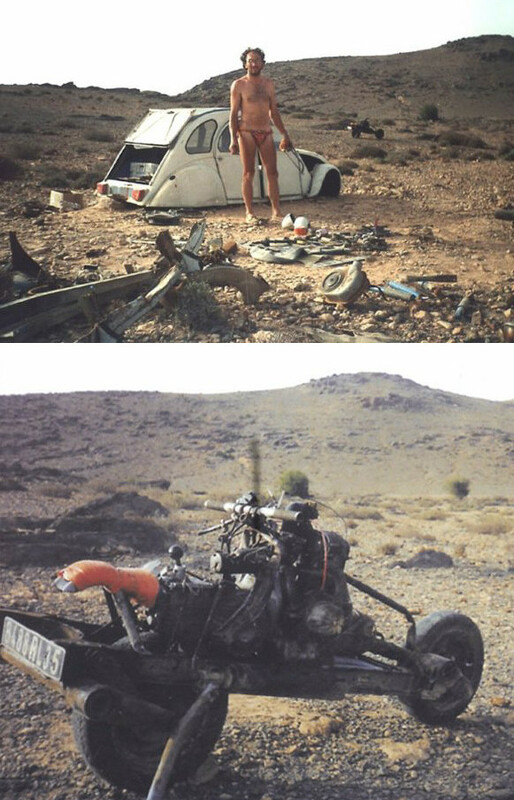 Leray first removed the bodywork of the Citreon 2CV to use as a shelter against sandstorms. He had only trousers and a short-sleeve shirt so turned his socks into improvised sleeves to protect his arms from the intense sun. Working with only the simple tools he had with him — no drills, no blowtorch or welding equipment — he stripped out the car’s engine and gearbox, and remounted them in a rudimentary chassis. He used a drum to turn the backwheel by simple friction, and the mechanics of the situation meant he could only run the car engine in reverse. After twelve days of work, and his water supply down to the last half a litre, Leray finally completed his makeshift motorbike. Heading back out from the desert he was picked up by the Moroccan police and taken to safety. Such an incredible story of ingenuity and resourcefulness! But the worst part of the whole affair..? 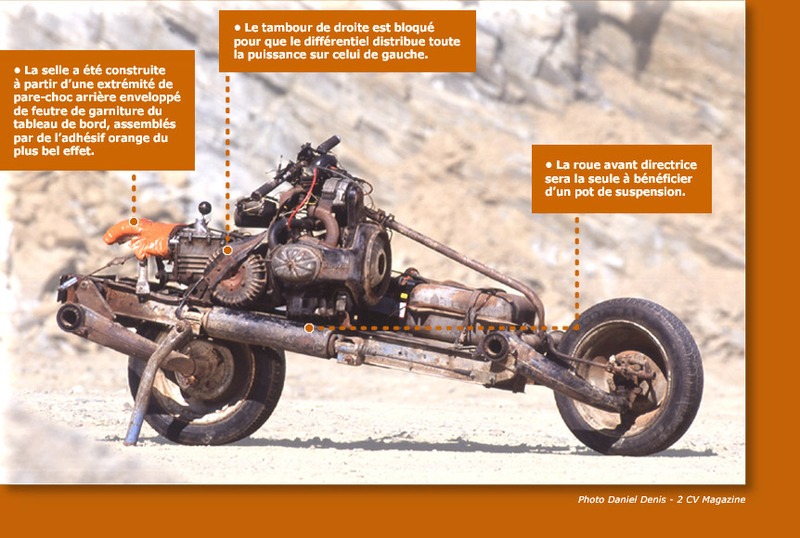 The Moroccan police slapped him with a fine as his car registration documentation no longer applied to the jury-rigged motorcycle!